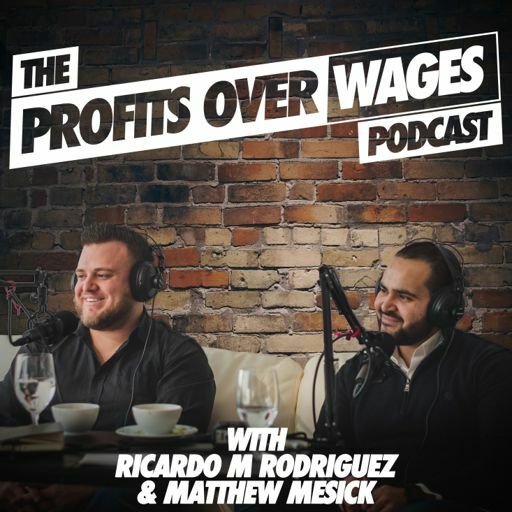 On episode #35 of the Profits Over Wages Podcast we interview Stefan Aarnio. Stefan is an award-winning real estate entrepreneur, podcast host, blogger, coach, public speaker, and author of a number of books including Self Made: Confessions of a Twenty-Something Self Made Millionaire. Starting with only $1,200, Stefan has built a multi-million dollar real estate business and multiple streams of income. Stefan has accumulated properties at an alarming pace controlling up to 25% of his local niche through his understanding of Real Estate Joint Ventures. He was the 2012 winner of Canadian Real Estate Wealth Magazine’s “Joint Venture Partner of the Year”, winner of the Rich Dad International Hall Of Fame Award in 2014, and Entrepreneur Magazine named him one of the Top 10 Real Estate Influencers to Follow in 2017 along with Ryan Serhant, Grant Cardone, and Barbara Corcoran. Stefan's philosophy is simple - find great deals, build a fantastic team, pay everybody, and create partnerships for life.